Ben Brafman, LMHC, CAP, is the Clinical Director, President and CEO of Destination Hope, Destination Hope: The Women’s Program and the Sylvia Brafman Mental Health Center, nationally recognized substance abuse, dual diagnosis and mental health treatment facilities in Fort Lauderdale, Florida. With more than two decades of hands-on experience in the field of substance abuse and addiction, Ben is a leading authority on substance abuse, addiction and treatment protocols. It’s easy for people to get the wrong idea about bipolar disorder. First, because the mental illness itself is so complicated. Second, because what we hear, read, and see in the media isn’t always the best source of accurate information. The Depression and Bipolar Support Alliance reports that bipolar disorder affects about 5.7 million American adults each year. Furthermore, the World Health Organization lists it as the sixth leading cause of disability in the world. Clearing up the misconceptions about bipolar disorder could help a large number of people. Bipolar disorder is sometimes referred to as ‘manic depression’ due to the cycles of depression and mania that characterize the illness. There are two main types, Bipolar I and II. 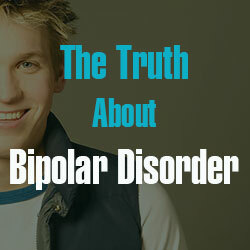 Bipolar I carries more serious symptoms, such as longer lasting periods of mania and the incidence of psychotic episodes. In bipolar II, the psychotic episodes are absent, but the other symptoms are similar. Fact: Have you ever heard the phrase “He’s so bipolar” in reference to someone who exhibits frequently changing moods? Chances are, that person is not living with bipolar disorder. Mood swings are normal, and can be influenced by stress and even personality. Bipolar disorder is a diagnosable mental illness where someone suffers from extreme fluctuations between mania, or “highs,” and depression. These periods can last for weeks or months at a time. Fact: The symptoms of bipolar disorder sometimes vanish for several years. Some people experience ‘normal’ moods between cycles, and others always exhibit some indication of symptoms. It’s impossible to make sweeping statements about bipolar disorder, because the illness manifests itself so differently in each individual. Sometimes symptoms of mania and depression even show themselves simultaneously. Fact: Unfortunately, diagnosing someone with bipolar disorder is not always a straightforward process. There are certain symptoms that look similar to other mental illnesses, such as ADHD or the recently identified illness of Disruptive Mood Dysregulation Disorder, which was added to the newest edition of the DSM-5. Bipolar disorder is often inconsistent, and can be triggered or worsened by co-existing conditions such as addiction or physical ailments. Fact: We see this misconception quite frequently across all mental illnesses. A mental health disorder is not a case of weak mental fortitude. It is caused by chemicals in the brain, and does not indicate a lack of trying. Although there is no known cure for bipolar disorder, there are many effective treatment strategies to help people manage the symptoms. Following these strategies may require commitment and it can be challenging, but someone with bipolar disorder should never be told that they’re not trying hard enough. Fact: People with bipolar disorder regularly hold down jobs, meet their responsibilities, and maintain personal and professional relationships. Famous celebrities such as Catherine Zeta Jones, Jane Pauley and artist Vincent Van Gogh all overcame bipolar disorder to have successful careers. With the right kind of treatment, a person with bipolar disorder can live a normal, productive life. The key is to keep up your treatment plan, rather than let it slide when things start to go well. Not every person with bipolar disorder will be on the same type or dosage of medication. 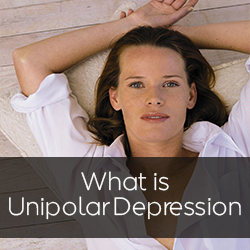 The goal of medication is to act as a mood stabilizer that levels out episodes of mania and depression. Anti-depressants and anti-psychotics also can be prescribed, depending on the particulars. Medications should be taken exactly as prescribed by a medical professional. One of the biggest problems we face in treatment is when people cut back on their medication or stop taking it entirely because they’re feeling good. Always talk to your doctor before making any changes. Therapy includes individual counseling, family therapy, cognitive behavioral therapy, and group support meetings. Therapy works in conjunction with medication to help someone manage bipolar disorder in the long term. While therapy alone isn’t always successful as a treatment method, it has been shown to drastically improve the effectiveness of medication. The importance of overall health can’t be ignored when we talk about bipolar disorder treatment. In combination with medication and therapy, bipolar disorder is also improved through healthy living. That means getting enough sleep and exercise, eating a balanced diet, and avoiding stress whenever possible. It may seem small, but when one of these elements is not quite right, it can throw the rest of your body out of whack.